In the last 10 games played Home team has earned 4 wins, 1 draws and 5 loss. 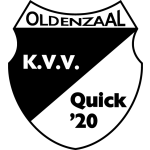 Since the start of the season in Derde Divisie - Relegation, KVV Quick 20 has so far 6 victories, 4 tie and 18 defeats. In these games the team has scored 45 goals and conceded 75. In their 5 games at home KVV Quick 20 has recorded 1 wins, 1 draw and 3 losses. As a host this season, KVV Quick 20 records total of 2 wins, 2 draws and 10 loss. In these matches Home team has scored 24 goals and conceded 41 goals. KVV Quick 20 is in bad shape, as it has only 1 win in last 5 games. Away team has recorded 3 victories, 0 tie and 7 defeats on the last 10 games. Since the beginning of the Derde Divisie - Relegation season, Away team has 12 wins, 2 draws and 14 losses. In these games Away team has scored 46 goals and conceded 60 goals. In their last 5 games played outside their stadium Away team has recorded 0 victory, 0 draws and 5 defeats. 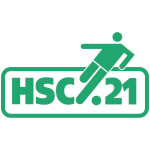 As a guest this season HSC '21 has recorded total of 3 wins 1 draws and 10 losses. In these matches the team has scored 13 and conceded 35 goals. In the last five years matches between KVV Quick 20 and HSC '21 at Sportpark De Vondersweijde, Home has 2 wins, 0 of the games have ended in a draw and 0 victories for Away team. 11:30 Jong Groningen - VV DOVO ?-? 12:30 Westlandia - HBS ?-? 12:30 USV Hercules - EVV ?-? 12:30 UNA - JVC '31 Cuijk ?-? 12:30 Stedoco - Harkemase Boys ?-? 12:30 SJC Noordwijk - Eemdijk ?-? 12:30 OSS '20 - ADO 20 Heemskerk ?-? 12:30 Oostzaan - Rosmalen ?-? 12:30 Blauw Geel - TEC ?-? 12:30 De Dijk - ASWH ?-? 12:30 DVS '33 Ermelo - Ajax (Am) ?-? 12:30 Lisse - Achilles 29 ?-? 12:30 ODIN '59 - Hoek ?-? 13:00 ONS Sneek - VVOG ?-? 13:00 Quick Boys - Noordwijk ?-? 16:00 Jong Volendam - KVV Quick 20 ?-? 17:00 HSC '21 - Dongen ?-?